These titles have been accepted into the Accelerated Reader program. All titles in this category are works of fiction. Any similarity to actual persons or events is strictly coincidental. These works are about specific times or events in history. Established in 1950, the Louisiana Landmarks Society promotes historic preservation through educational programs and the operation of the Pitot House. The non-profit organization formed when members of the New Orleans chapter of the Society of Architectural Historians came together to save an early nineteenth century, colonial, Creole plantation from demolition. Composed of nearly five hundred members, the organization aims to preserve the cityâ€™s historic sites. The Societyâ€™s many programs include free public lectures on preservation topics, publication of the PrÃ©servation newsletter, stewardship of the Pitot House, educational partnerships with the Louisiana Childrenâ€™s Museum and the Tulane School of Architectureâ€™s Preservation Studies graduate program, and historic house tours for locals and visitors. The Louisiana Landmarks Society has published numerous monographs on architecture and preservation topics. 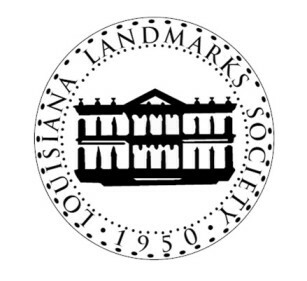 In 1987 the Board of Trustees of the Louisiana Landmarks Society established a publication fund with an initial grant of $3,300 from the Society. This fund, named in honor of Samuel Wilson, Jr., was activated to carry out one of the objectives adopted by the organization in 1950: â€œto foster a more general interest in the architectural tradition of this region and to encourage research and in publishing results.â€ The Societyâ€™s share of proceeds from this partnership will support the Samuel Wilson, Jr. Publication Fund and its mission to provide for the development of future Louisiana Landmarks Society publications.